SMI supported the conduct of the Youth Forum on Environment Awareness organized by the Regional Youth Desk of the DENR Region Office XII at SM City Mall of Gensan on June 14, 2017. The forum was part of the celebration of the Philippine Environment Month and participated by secondary students from the different schools in Region XII. 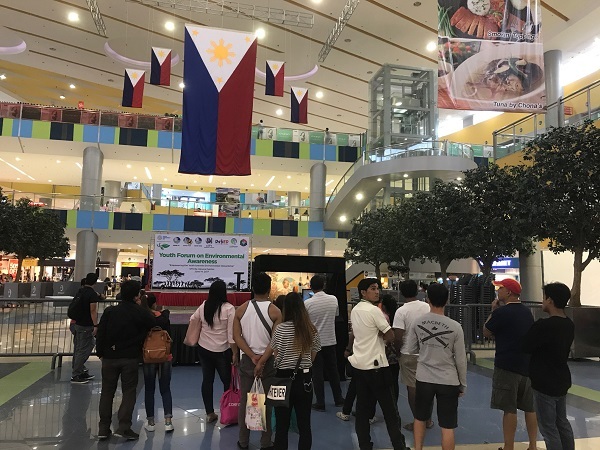 SMI supported the activity by setting up a hologram presentation featuring the benefits of mining in daily life at the forum’s venue in the mall activity center. The hologram presentation was viewed not only by the forum participants but also the mall goers. SMI also provided tokens such as SMI notepads and “I support Responsible Mining” button pins for the participants. The forum was co-sponsored by other government agencies in the region such as the Mines and Geosciences Bureau and the Department of Education.